The LEDA100 series of LED drivers offers 96 watts of output power in a 9.50” x 1.70” x 1.15” IP20 designed package. This series has a wide input voltage range of 120~277VAC and single output models. 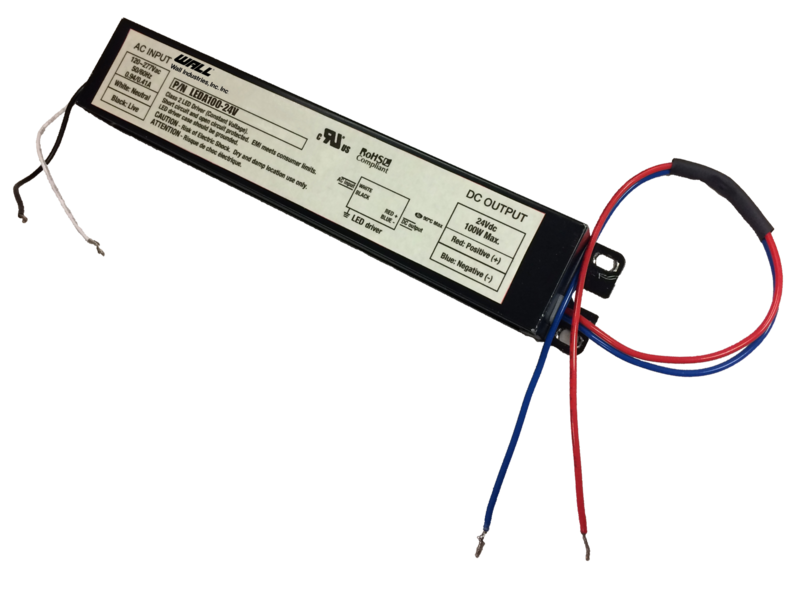 Each model has over voltage, over current, and short circuit protection, high efficiency, and UL8750 and UL879 safety approvals.